We all have a drawer in our powder room filled with anti-aging products and daily refreshers to help temper the sting of stress, environmental elements, and lifestyle choices. Many of us wake up after a night out with friends and one too many cocktails and realize we may need to submerge our heads in a pool of petroleum jelly to look younger and more rested. Caffeine gels are a favorite for those under-eye bags, better known as the hangover trademark, and as an age-conscious society, we’re willing to try anything. Turning back the clock or the party from the night before is no easy feat, and most of our restful products leave us feeling heavy and greasy, causing those with acne-prone skin to appear younger, but also blemished and irritated, with most of these formulas clogging pores with no concern for skin’s clarity. Our creams can be messy and tend to come in jars. Wanting these creams to work fast, we tend to scoop out more than necessary, wasting product and money – it’s not a glamorous process. We believe your beauty regimen should be like a day at the spa, luxurious and carefree, that’s why we love Babor skincare. Babor is formulated in Germany and its team knows that we crave a relaxing, luxury experience every now and then. Babor is a pioneer in skincare research and its products cater to the individual concerns, and are made for an indulgent experience unlike any other. 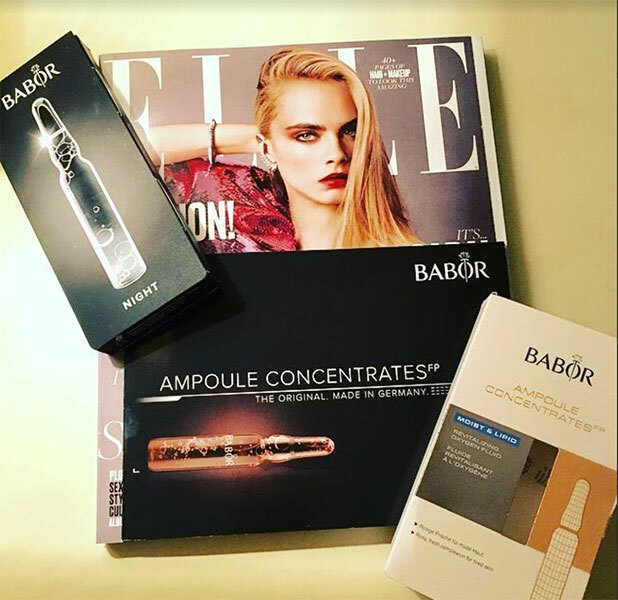 The company has have received countless beauty awards for “best product,” and recently supermodel Naomi Campbell was lucky enough to receive a Babor goodie bag of ampoule concentrates at the Gala SPA Awards. Babor products not only tend to our age anxiety, they also keep in mind that their anti-aging products should not just moisturize and firm, but clear and calm all skin types. 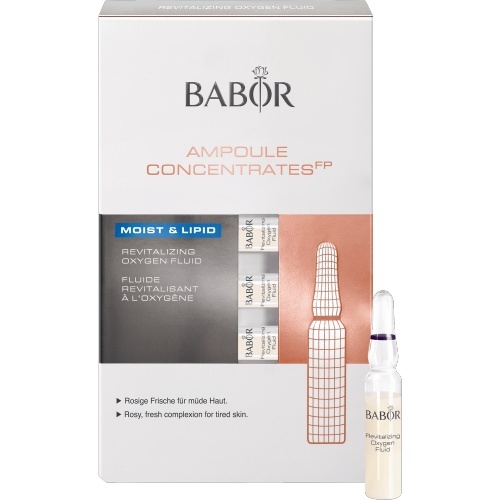 Our experts at MyTopFace tested some of Babor’s best-selling items, the Ampoule Concentrates. These formulations do not come in the standard jars that only look pretty and aren’t effective; they come in individually sanctioned glass ampoules, so you know exactly which amount to use. We tried the Active Night Fluid and the Revitalizing Oxygen Fluid and these concentrates didn’t just deliver results, they delivered an experience. The Oxygen Fluid or the oxygen shower was used during the day under our daily moisturizer and face makeup. This ampoule is meant to awaken tired skin and provide a refreshed glow, leaving skin feeling plumper and more alive. After only one use of this product, we noticed a difference in the bounciness of our skin, it felt younger and our complexion revived. 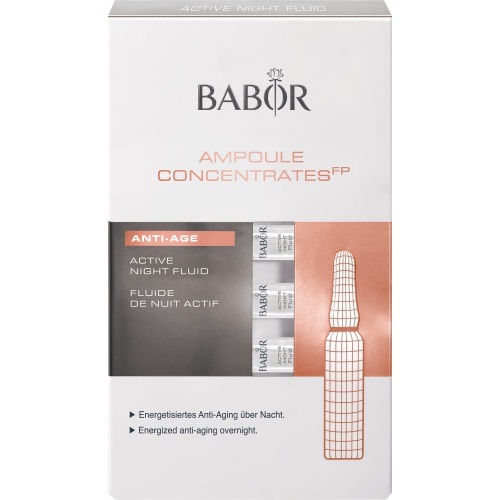 To use this fluid, simply place the ampoule firmly in your grip and break off the glass tip with a tissue or using the enclosed ampoule opener. We recommend using the opener because the cap breaks off inside it, making it easy to just toss out. Gently massage the Oxygen Fluid into your facial skin and smooth any excess onto your neck and decollate. This formula is light and thin, but rather moist, so rub it all in and pat into skin before applying your daily beauty products, for most effective absorption. This fluid is mostly clear with a cloudy white mixture, smooths on easily and smells like the sweetest cologne in the world, wafting around your senses through the day. The encapsulated oxygen and Vitamin E protects against free radicals, working against premature aging. The oxygen helps your skin maintain optimum energy, lending light reflecting pigments and radiance to your skin’s overall appearance. The Active Night Fluid is a complimentary concentrate we used in partnership with the Oxygen Fluid. This fluid is used while sleeping to penetrate the skin on a more intense level, boosting cell metabolism during the deep sleep phase. The Active Night concentrate helps diminish signs of aging overnight, so you wake with a refreshed glow. The fluid is ultra-thin and clear, and like the Oxygen Fluid, it should be massaged into the facial skin, neck and decollate. This concentrate absorbs more rapidly than the Oxygen Fluid, plumps, and firms the skin for a more youthful appearance. Used in conjunction with the Oxygen concentrate, your facial skin will look rejuvenated and feel buoyant to the touch. Black algae, black willow extract, and black truffle activate cell metabolism throughout the night; as we sleep our skin repairs. 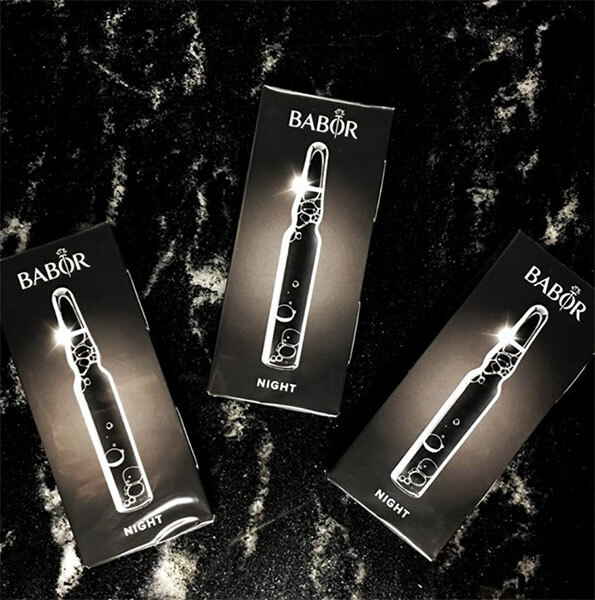 Using the Babor concentrates, remember to cleanse and tone thoroughly before use and only apply moisturizers atop the Babor fluids, for optimum effectiveness. We noticed a difference in the appearance of acne scarring, redness and dark spots in only a few uses of both concentrates. The most noticeable change was the plumpness in our facial skin, just one day after use, skin was supple to the touch. Babor concentrates provide a soft youthful canvas for makeup, that only deepens with continued use. After using Babor, we have added yet another regimen to our skincare routine and not to mention, our face smells fabulous!